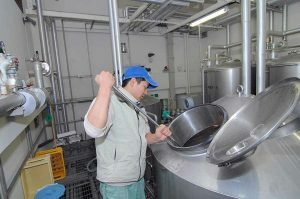 Suzuhiro set up the Hakone Brewery to create an Japanese beer that complimented and enhanced the subtle and rich flavors of Kamaboko and Japanese foods. The best ingredients are sourced to create an award winning brew. 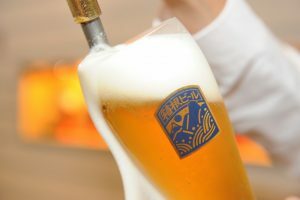 Why Does Suzuhiro make Great Beer? Japanese food culture is the harmony between ingredients and taste, incorporating the subtle flavors of ingredients without overwhelming any of them. Enhancing the every single part of a dish. We strive to do the same with our beer. Our beers are brewed to enhance the mild and deep tastes of fish and vegetables. German beer goes well with a great sausage, and Hakone beer goes great with Japanese food. The most fundamental reason for our abiity to make great beer is the wonderful water from the springs of the Hakone mountains. The rain water takes more than a hundred years to percolate through the mineral rich mountains of Hakone. The waters of Hakone and the Tanazawa Mountains are the natural gifts that make Hakone Beer. Beer makes people happy. It is good. Beer is even better when it is enjoyed in natural harmony with the surrounding environment. Hakone beer is the product of special ingredients, hard work, and a vision to give people a quality product to more enjoy their lives. We look forward to your visit and hope you have the chance to enjoy our product. The Asakusa area of Tokyo has many culturally significant sites, historical buildings, and lots of wonderful food to try. The compact nature of the area allows you to explore on foot. In Asakusa, Suzuhiro has craft beer and freshly roasted Chikuwa that you can take out on a walk through the wonderful neighborhood. A "Good Fortune" is the them for many products and the Chikuwa is especially unique. The warm freshly roasted fish cake is served on a bamboo stick. Be sure to check your stick to get your fortune! The beautiful natural surroundings of Hakone is a wonderful backdrop to a leisurely stroll on the shores of Lake Ashi. 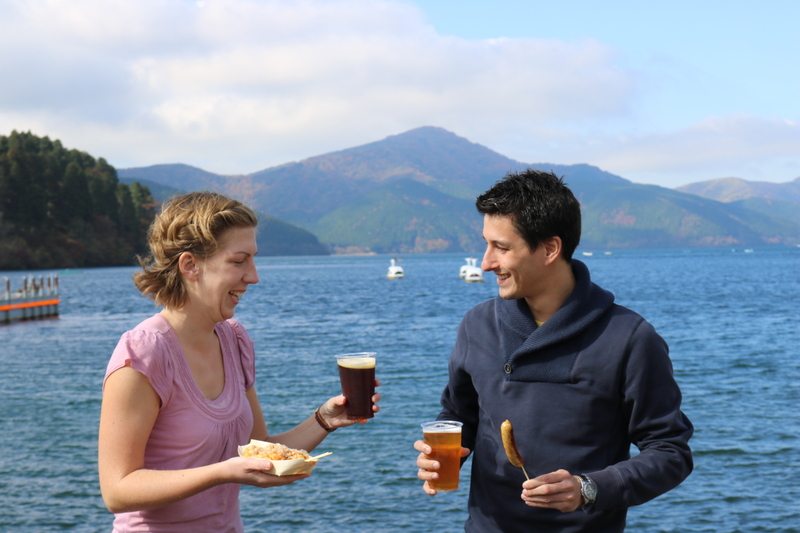 At Hakone Port you can grab a refreshing craft beer paired with the Kamaboko Takoyaki. 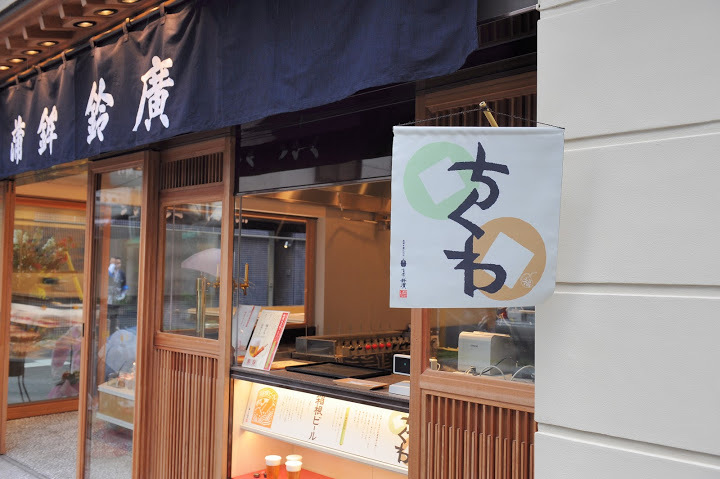 This local specialty is a creative creation based on the popular octopus dumpling. Sit on the serene shores of the Lake and enjoy the views with delicious Japanese foods. 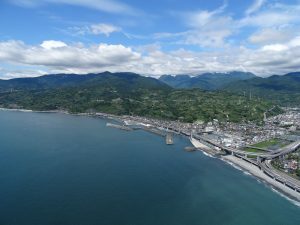 The Suzuhiro Kamaboko Village in Odawara is the home of Suzuhiro and the Hakone Beer Brewery. It has many wonderful culinary options to pair with one of our respected craft beers. A popular option is to sit on the patio and enjoy the Seasauge, a sausage made of shrimp, scallops, or squid. 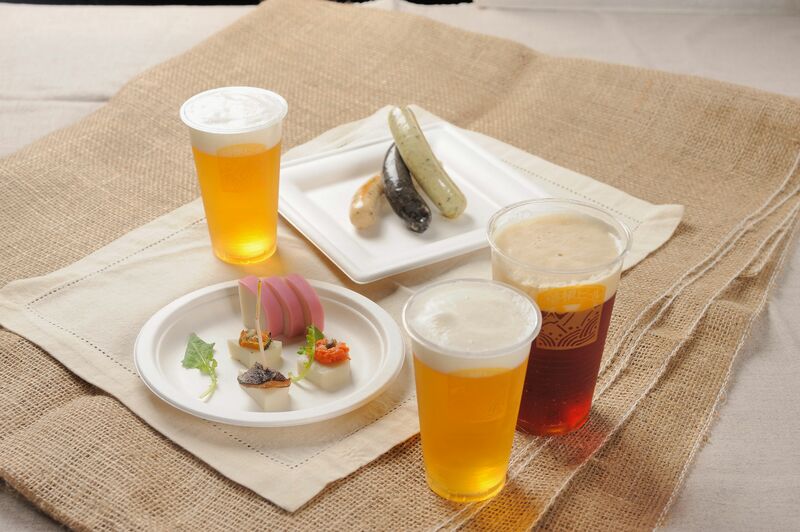 Hakone beer was made to compliment and enhance the flavors of these wonderful dishes. Which will you enjoy the most?